Gluten free popped corn. These fun fodmap snacks are available at Dischem nationally. Yellow corn, sunflower oil, sugar, sea salt. Tasty , easy , low calorie snack but would have preferred a salty flavor, will look out for other flavours to test. Have questions about a low FODMAP diet? Read more. Want to learn how to eat well for IBS without compromising on taste? Take an Eatfit Course. We offer two programmes to suit your needs. Our EatFit programmes incorporate behavioral change techniques to help patients make changes. Our group programmes are also more affordable and can be run across a range of venues. This programme will provide guidance on what to eat but also how to eat better. A one session group programme that provides all the tools needed for a healthier, happier gut with an IBS Diet. Research has shown that gastrointestinal health is intricately linked with overall health and it is important to nurture your gut microbiome. Topics covered include; balancing your meals, plant power, types of fibre, prebiotics and probiotics. This 4 session programme uses an approach called “Eating For Intestinal Tolerance”. The programme explains the diet, offering advice how to exclude FODMAP foods and supporting patients through the reintroduction stage. It is based on the low FODMAP diet (which has been proven to be effective in reducing irritable bowel symptoms. The programme includes meal plans, recipes, dietetic support for 16 weeks and up-to-date research based resources. It’s a mix of group sessions & individual consultations which ensures a cost effective solution for patients without compromising on FODMAP education. 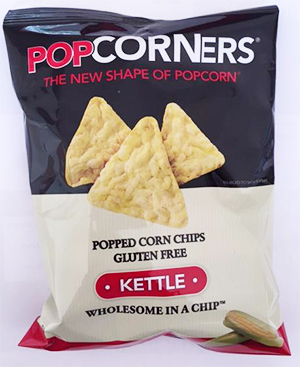 Get in touch with us to book your session or click to read more about Popcorners.